HOPE is indeed a thing with feathers, writes Ilsa Setziol. 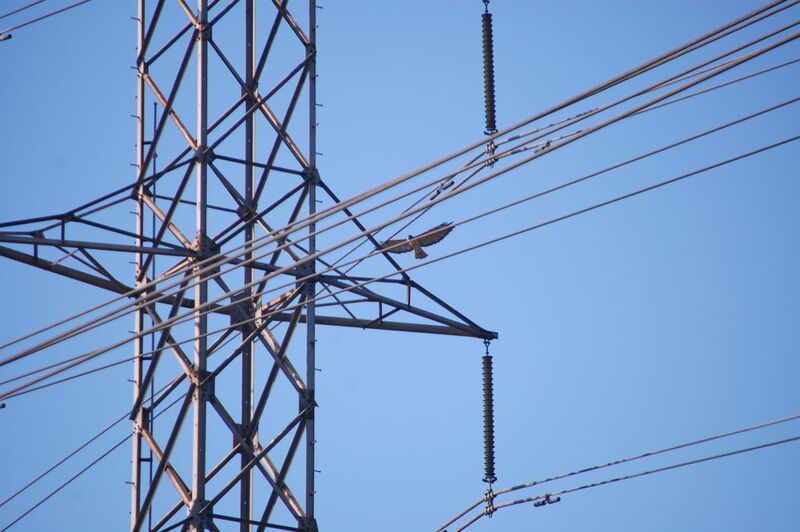 In a landscape entombed in cement, the sight of a wild bird soaring — circling over the freeway, alighting on the towers of high-tension power liness — offers a sudden thrill. If it’s a majestic bird, it’s probably a hawk. 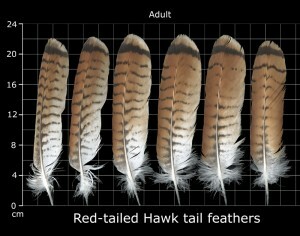 In urban Southern California the two most common are the lithe Cooper’s hawk (Accipiter cooperii), which lurks in yard trees and jets out to nab little birds, and the larger red-tailed hawk (Buteo jamaicensis). The latter is the one you see coasting around in lazy circles, buoyed by upwelling currents of hot air called thermals. Wanting to know more about these birds, I called conservation biologist Dan Cooper, the consultant behind Cooper Ecological. Cooper has been observing LA birds since he was a teen. He’d know where to find a red-tail. It’s not a place you’d expect to see a lot of wildlife, I said. But as we drove in, Cooper had spotted a red-tailed hawk perched atop one of the pines. So, binoculars in hand, we went looking for it. Cooper can identify birds flitting by so fast that most people barely see them. He pointed out darting swallows and a black phoebe perched on a headstone (a stand-in for the boulders the bird evolved with). But the hawk was eluding us. 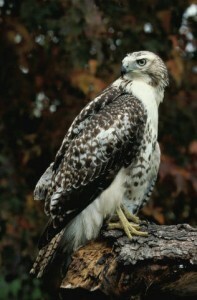 Red-tailed hawks are native to the LA basin. Some are resident; others drop in for the winter. 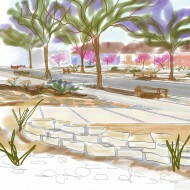 Before the ranch era, nesting and roosting trees were far less common in the area. “The hawks may have nested in sycamores where Echo Park Lake is or MacArthur Park is,” said Cooper, “then foraged here on the plain.” As people planted eucalyptus and other large trees, the hawks moved in. An echoing “CHEEeeev” pierced the sky above us. A brown bird with broad wings spanning four feet glided past, its rust-colored tail fanned. “That’s a red-tailed hawk,” said Cooper. The bird circled, cutting in front of a distant airplane, then disappeared behind a tree. A few minutes later the hawk was back in view—with a mate. It folded its wings into its body and plummeted, headfirst. 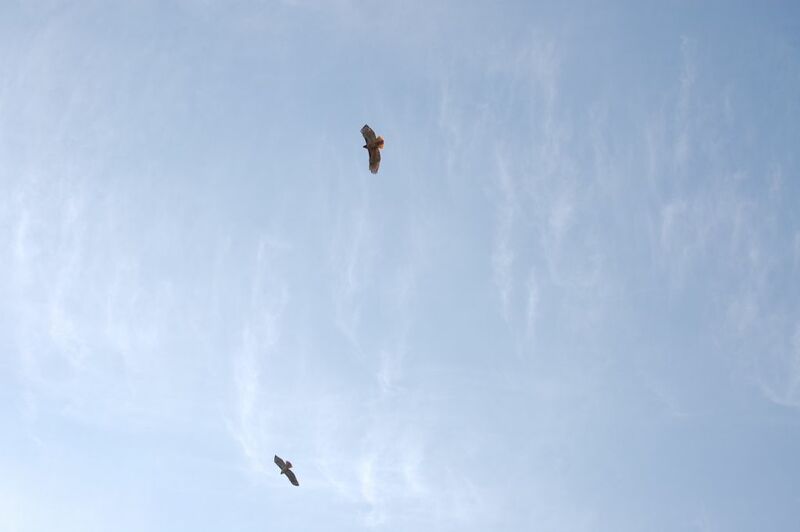 Then the bird pulled up—as if that death dive was just a joke–and joined the other hawk. The two zigzagged in unison, yellow legs dangling, giving the impression of a pair of hang gliders. “That’s their courtship,” said Cooper. “What’s the deal with the dangling legs?” I asked. It was spring, the birds were courting, so we searched for a nest. No luck. One of the juveniles tottered to the nest’s edge, gingerly unfurled its wings, and looked down. Cooper told me that a red-tail’s first flight is really a hazardous jump. “They’ll sort of flop to the ground,” he said. “At that point really vulnerable to being eaten by cats and coyotes, or just killed in the fall. But they do have a little foliage between them and the ground so they may hit the crown of one of these [native] walnut trees.” The fledglings will flap and crash around nearby trees until they learn to fly. The young hawk apparently thought the better of it and stepped back from the edge. A good decision considering its parents soon returned. The big babies plead for food with a breathy calls sounding something like pweese, pweese, pweese! Copyright (c) Ilsa Setziol. All rights reserved. * For an earlier version of this story on KPCC, click here. 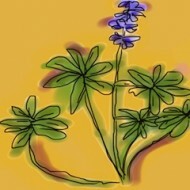 Ilsa also writes on gardening and outdoor activities at her personal blog Rambling LA. CONSERVATION NOTES: Although it’s illegal to kill birds of prey, people still harass them. The La Habra Heights homeowner on whose property these red-tailed hawks were nesting told us he has scared off people who tried to scale the eucalyptus in an attempt to capture the birds, presumably for pets. The Audubon Society Los Angeles has a list of sources to call if you find an injured bird. Great story. It is true that Red-tails are disappearing from the Center of the Santa Clarita Valley where so much development has taken place along the river and in the hillsides. 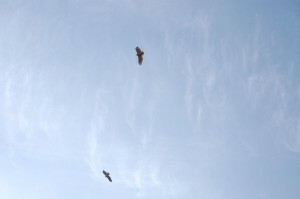 It is interesting to note that New Yorker’s celebrate the bird named Hope, who took to the city streets and yet so many of us here in California don’t seem to see the loss of this raptors and other even more sensitive species. 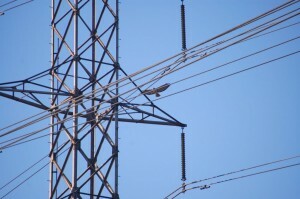 In Santa Clarita just a very few years ago, it was common to find several birds of prey sitting on old utility poles but now those raptors have been replaced with crows and ravens which make a good living off of city trash. Quite sad! I enjoyed reading your piece and hope that more people take time to celebrate and protect what they have in their own back yards. thanks for this great article! amazing to know the connection between the hawks and urban life! why don’t bird books have this kind of info?